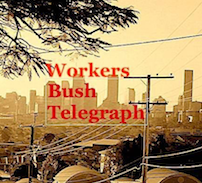 WBT publishers this short talk by Marxist historian Humphrey McQueen about the crises of capitalism. Humphrey is a regular guest on Melbourne’s 3CR, solidarity breakfast program. WBT posts these and other notes. This is a radio, he gave on 20 October 2018. There’s more about 3CR and solidarity breakfast after the article. We’re back for another session on why crises recur. By definition, a crisis can’t be permanent. The eruption of 2008 is over but its consequences are still being felt. The cover story in the current issue of The Economist is headlined ‘The Next Recession’. The coming recession, they agree, will be worse than the last one. In part, that will be because some of the problems that led to 2008 have not been removed. The current slump on the New York stock market is not the next recession. As we outlined four weeks back, much of the rise in share prices is fictitious capital. Pumping out money to the Uber-rich since 2009 fuelled the boom in stock prices. Trump’s tax-cuts continue to do so. Until 2017, low rates of interest encouraged investors to take on more debt. Now the Fed is pushing the rates up to head off inflation. Another reason why the stock market is down it that the earnings of the tech giants are at risk from Trump’s tariffs on components from China. Tech stocks now dominate almost every measure of the US economy. G-M and EXXON have been knocked off the perch. Threats to Google and Amazon etc therefore rock the whole system. During the current drop in share prices, one of the paid urgers did his ‘Don’t Panic!’ routine. Yes, he had to admit, there are lots of trip-wires out there but they’re all different. Since there’s nothing systemic, he bleated, there’s nothing to worry about. It never occurred to this Confidence Man that the very variety of problems is making the global system more vulnerable. It is possible that this stock-market ‘correction’ is an early warning that the causes behind 2008 are on the way back. No one will ever be able to predict exactly when or precisely where the next crisis will erupt. Will it be triggered by the Italian banks? What about the 10 percent devaluation of the Chinese Yuan so far this year? Of one thing we can be sure. The next crisis won’t be a carbon-copy of the last one – or of 1987 and still less of 1929. Most likely, the next eruption will begin somewhere that no one is watching. It’ll start ‘behind our backs’, to use another of Marx’s regular expressions about the il-logic of capitalism. ‘The Law of a Tendential Fall in the Rate of Profit’. Over the years, I’ve heard life-long Marxists misrepresent Marx’s position by trimming the title down to ‘the falling rate of profit’. ‘The Law of the Tendency …’ had gone AWOL. Even worse, some cut the title back to ‘falling profits’ as the explanation for crises. Marx argues the opposite. Absolute profits usually increase. It’s the rate of profit that has a tendency to fall. There’s a tendency among both critics and followers of Marx to assume that when he calls something a ‘law’, its workings must be iron-clad. One response, therefore, is to conclude that Marx thought that the rate of profit must fall. Otherwise, why talk about a ‘Law’? For Marx, all laws are tendential. They are patterns of high probability. A limited number of outcomes are possible but no single outcome is inevitable. Marx never tires of reminding us that Laws apply only if all other things are equal. In human affairs, nothing is the same from one day to the next. Marx analyses how the expansion of capital generates its opposite in crises. His account is undeniably complex. But his dialectical reasoning is no more complicated than the workings of capitalism. A writer might catalogue all those complexities but be unable to unscramble them into an explanation. To announce that a situation is ‘dialectical’ doesn’t get you over a failure to integrate evidence with concepts. Marx’s tendential laws are an excellent example of dialectical reasoning. In brief, we dialecticians hold that nothing is wholly one thing or another. The reason for this dualism is that everything is undergoing change. In addition, those changes combine an unfolding of inner forces with the impress from external influences. Marx includes inner drives and outside pressures for his ‘Law of a tendential fall in the rate of profit’. That is why the chapter headed ‘The Law Itself’ has to be read along with the following pair. The reason is clear from their titles: one is headed ‘Counteracting Factors’, and the other is ‘Development of the Law’s Internal Contradictions’. > shorter life-times of machinery. Put counter-tendencies and contradictions together, and we see why a law about falling rates of profit is never going to be more than tendential. Here is the one and only universal law: everything is subject to change. Change is the one constant – though its rate is unstable. What is the rate of profit? Rates are calculated by putting one number over and another. For example, 10 over 100 gives a rate of 10 percent. To illustrate the Marx’s Tendential Law of the Rate of Profit to Fall, let’s assume that the amount of profit is 100. The wear-and-tear on the equipment costs 10; raw materials etc cost 290; and wages another 100. Those outlays of 10, plus 290 plus 100 give us a total capital expenditure of 400. The rate of profit is found by putting the 100 units of profit over the 400 units of capital spending. The rate of profit is 25 percent. That arithmetic is the easy bit. The puzzle is why does the rate of profit have a tendency to fall? The answer takes us into the class struggle between capital and labour, but also into the competition between capitals. First, consider the impact of the class struggle. Workers get organised and win higher real wages. The agents of capital react by replacing living labour with the past labour that is present in machines. Those machines will be more efficient than the previous generation. Hence, they process more raw materials etc. The bosses’ effort to hold down wages pushes up the total cost of production goods. Now the numbers are 20 – not 10 for wear-and-tear; 380 instead of 290 for raw materials etc; but only 80 for wages. The new total is 480 units. Absolute profit has gone up from 100 units to 110. Put 110 over 480 and we get a rate of close to 23 percent. The rate has dropped from 25 percent while the absolute profit has increased by 10 percent. What matters to the agents of capital is the rate of return on investment. A profit of one billion dollars sounds like a lot. But if the corporation has spent $50 billion, its rate of profit is only 2 percent. It’s losing money. Meanwhile, all the rival firms are investing in more efficient equipment. Their combined efforts mean more products to sell. Only after doing so will any of them realise a profit of any magnitude or rate. NB The tendential law about the rate of profit can work out in the opposite direction. One of Marx’s counter-tendencies is where capital becomes strong enough to reduce real wages. The rate of profit then has a tendency to rise – not to fall. That’s been happening for nearly forty years in the US. In the aftermath of 2008, profits soared while wages stagnated, at best. That is why we need to break bad laws to reclaim our power to strike. Crises don’t break out because we workers never receive the full value of our labour. Marx’s explanation is not under-consumptionist. That’s Keynes. Marx provides an explanation built on over-production. But over-production of what? His explanation is at one stage removed from the workers’ demand for consumer goods. For him, the system seizes up from an excess capacity of production goods. A crisis does not flow directly from the over-production of the commodities turned out on those machines. To give one example of the difference. A crisis is compounded by the failure of airlines to order more 757s. The failure of passengers to buy enough tickets to fill all the seats is a second-order event. Competition drove the excess capacity of seats. Each airline seeks to capture a bigger slice of the flying public. Each buys more aircraft than they can fill. Airlines then pull back on new orders. Aeronautical corporations in turn order less raw material. The squeeze goes down the production chain. 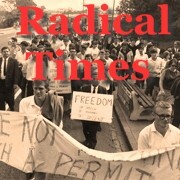 Marx’s exploration of crises is not limited to three chapters in one volume out of three. Rather, everything he wrote has some bearing on how the rule of capital might end. In the third chapter of volume One, he introduces the ‘cell’ of his crisis theory. The fact that someone sells something does not compel them to spend the money they receive at once. Delays are inherent in a system based on commodity exchange. Those turnover times grow ever more of a tangle with the expansion of capital. That’s probably enough on crisis theory for this hour in the morning. As ever, the notes are on the Solidarity Breakfast site. To repeat the political lesson. Capitalism will never ‘collapse’. It might implode economically. In October 1929, Wall Street laid an egg. In October 1987, New York stock exchange dropped 30 percent. During the early 1990s, the Nikkei Index in Tokyo plunged from almost 40,000 to a little over 10,000, that is, by about 70 percent. Decades later, capital still rules. How so? Behind the power of the corporates stands the power of their state. Capital will rule for as long as its state apparatuses can shift the burden onto working people; onto small businesses; and onto competing corporates, especially those in rival nation-market-states. The outcome of every crisis is decided by the relative strengths of the contending classes. Applying Marx’s critical analysis of how capital’s drive to expand brings on crises is part of how we strengthen our class for that fight. The Saturday morning 3CR timeslot has a proud history of coverage of union issues and industrial disputes. Preceded by the Strikeback Show and Par Avion, the Saturday morning presenters have included trade union leaders, activists, radical intellectuals and ratbag troublemakers – sometimes all four! Solidarity Breakfast covers industrial current affairs and issues from a rank and file unionist perspective, with a focus on the broad labour movement and democratic struggle – both locally & internationally. Discussion and interviews with experts on bigger picture matters; global capitalism/workers rights, hotbeds of democratic insurrection and struggle. Serious coverage is broken up with 5 minutes of satire by Kevin Healy, with “The Week That Was”. Join us every Saturday Morning 7:30AM. And for your turn on Talkback call in on 9419 0155 at 8:30AM.